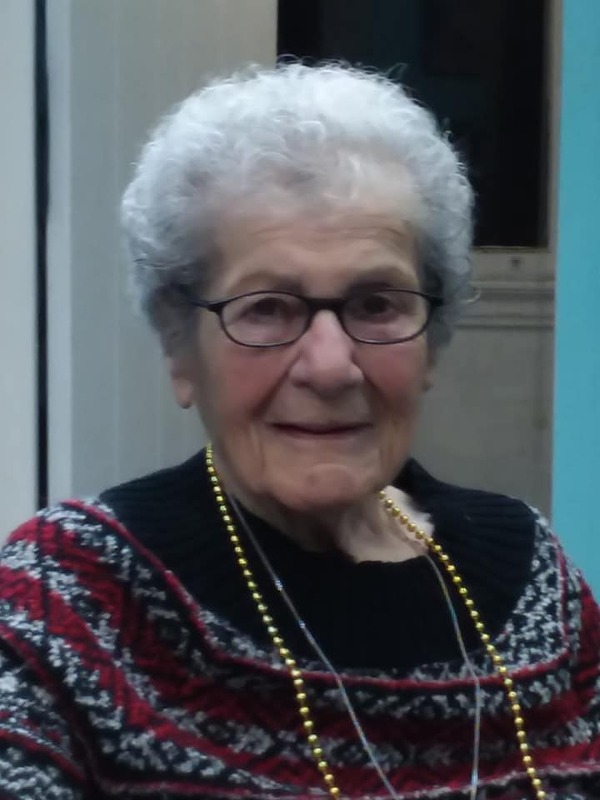 Alberta Margiotta Lawley, 95, formerly of Fremont, OH and recently of Cincinnati, OH passed away on Monday, February 4, 2019 at Artis Senior Living of Bridgetown in Cincinnati. She was born on October 15, 1923 in Florence, Italy the daughter of Salvatore Margiotta and Fortunata Rosalbini. Alberta married William S. Lawley in Florence, Italy on November 4, 1945 and he preceded her in death on January 14, 1978. She worked as a waitress at various restaurants in Fremont until she retired. Alberta was a member of Sacred Heart Catholic Church in Fremont. She enjoyed gardening and crocheting. Alberta is survived by her children, William (Karen) Lawley and Bryan (Debbie) Moran both of Cincinnati, OH, and Brenda Lawley of Italy; grandchildren Autumn, Ava, Olivia, Matteo and Rachele. She was preceded in death by her parents and husband, William S. Lawley. Graveside Services will take place on Friday, February 8, 2019; 1:00 p.m. at Oakwood Cemetery, Fremont, OH. Billy, Karen, Autumn, Ava and Olivia so sorry for your loss. Brian and Debbie so sorry for your loss. Brenda ,Matteo and Rachele so sorry for your loss. I worked with your Mom at Clardon’s. What a Great Lady! We stayed in touch by Christmas cards. A couple years ago we got to meet up for lunch thanks to Blanche McCormick. So glad I had that last visit with her. So sorry to hear of her passing. We are so saddened to hear of your Mother & Grandmother’s passing. Aunt Alberta will be missed! We send our condolences and aloha to all of you!